Happy Valentine's Day you all!! 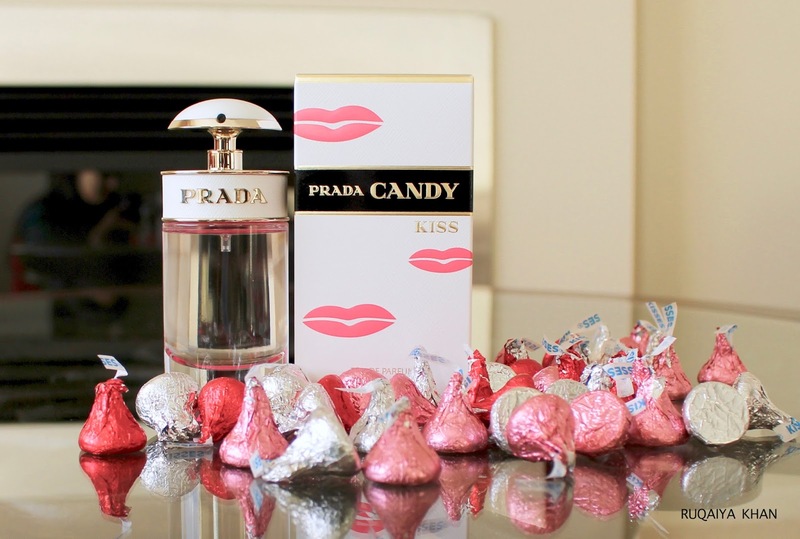 I decided to share this bottle of perfume I got, just in time for today's celebration and also Hershey's Kisses. Come on! Who doesn't crave milk chocolate today? And a flirtatious and feminine scent that reminds me of my early 20s? Bring it on. Sometimes its legit to be self indulgent, enveloping yourself in a cloud of fragrance, walking like you are a million bucks, without worrying about the possible judgements, only because, someone chose you. Because there is someone who loves you, makes your heart flutter and inspires you to become a better version of yourself, every single day. So what if there is one out of 365 days to celebrate it. Isn't it worth a celebration everyday? So, this perfume is definitely something I would have never purchased myself. I stay away from sweet scents because they 'feel' immature. However, there is something different about this one. 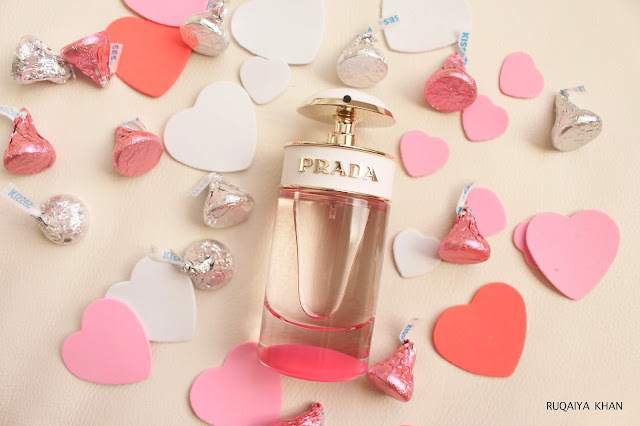 Prada Candy Kiss is described as an addictive, flirtatious, musky oriental, sweet and soft fragrance with overdose of musk, scent of white cotton wrapped in orange blossom and sauve vanilla. It has notes of white musk just like the other Prada Candy perfumes but what makes it different is the overdose of musk. And that is exactly why I love this scent. 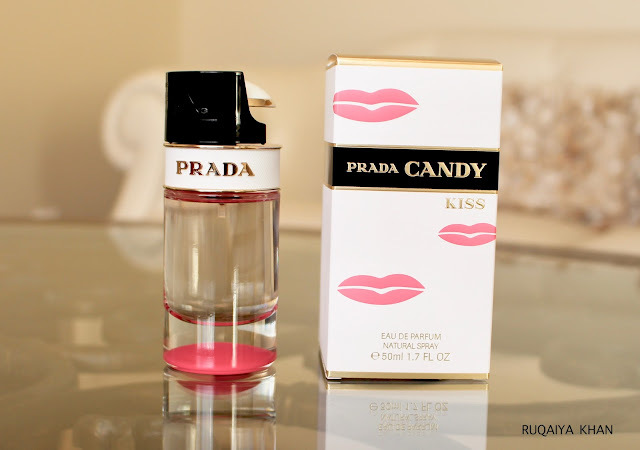 Its much muskier with no caramel scents instead it has orange blossom and very sophisticated vanilla tones. Its definitely a grown up version of 'fruity-floral' perfume but is still youthful, cheery and so flirtatious! 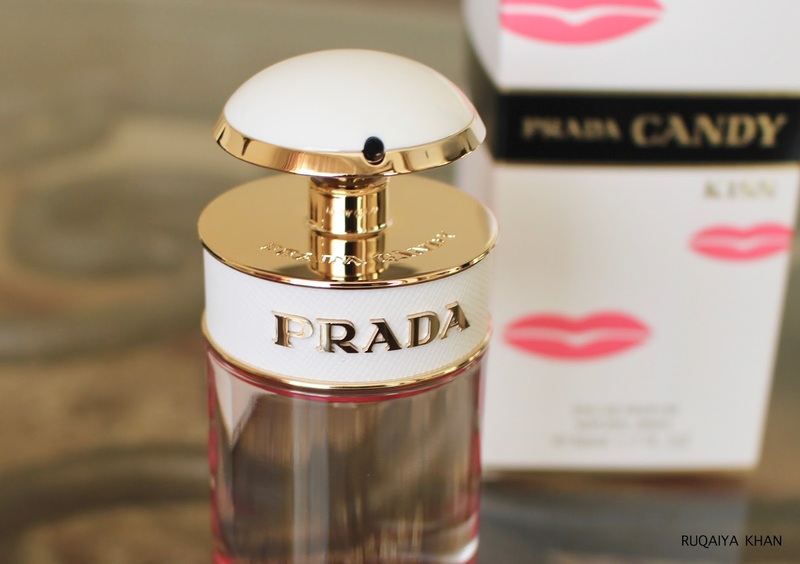 The bottle is designed in such a way that there is no cap and the atomizer sprays a perfect mist on skin. The mist is much finer and better than traditional spray bottles. The packaging is gorgeous. I love the white with gold. That's how I've decorated my living room :D but seriously I love the white leather look with the gold. Its so elegant. The packaging also includes this black plastic (shown below) that keeps the atomizer from spraying unnecessarily. I think, I will not throw it out because I could use that while travelling and it will be nice to pack this up without worrying about leakage. 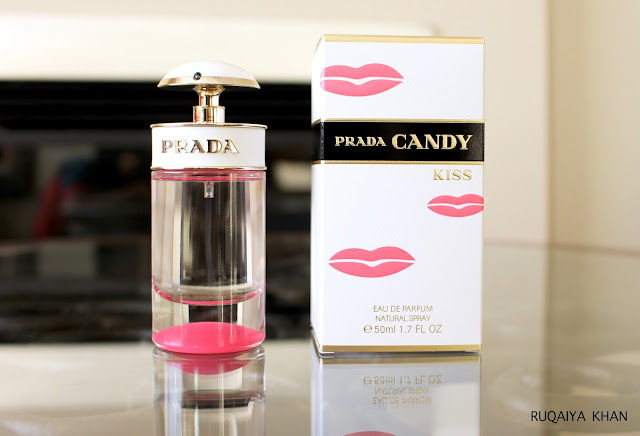 Prada Candy Kiss does not come in a roller ball version but there is a 20ml bottle available at Sephora, which is always out of stock... so may be I could snap it when its back in stock. 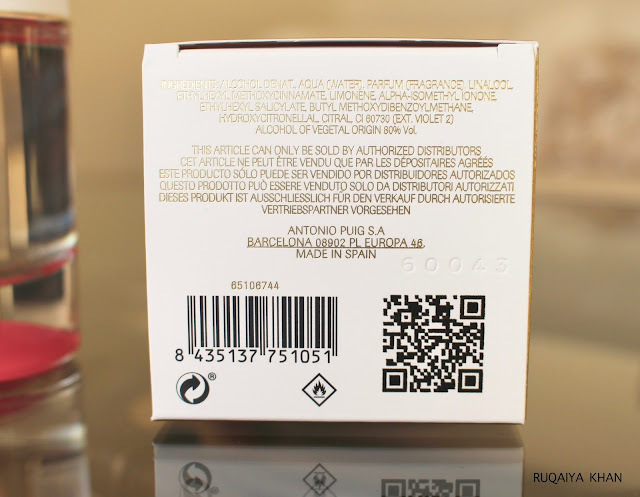 Here are the ingredients of this perfume, if you care to know. The only thing I was sort of uneasy about was that, this perfume is made in Spain. The Bay and Sephora both sell Made in Spain versions, however Nordstorm offers one that is Made in Italy. Now if that does not mean anything to you, pls move on to the next paragraph. I, however, always felt great about using French perfumes, because the French know their fragrances best and whenever I think about Spain/Italy I can never relate it to perfume. It only reminds me of Tomatina, pasta, bull fights and gorgeous landscapes, but perfumes? No. I will stick to the French on that one. On the whole I would say, its a lovely sweet, floral scent which settles down to a gorgeous white musk fragrance with hints of vanilla and orange blossom. It may remind you of other fragrances that you disregarded for smelling like teenage girls and also because it doesn't last all day. I can still smell it off my clothes or wrist, but it does not stay all over/around me for long. Its definitely a day fragrance for me because it boosts my mood. Its energizing and quite spring like. May be because of the orange blossoms. Chanel Chance Eau Vive is also a warmer, denser perfume if you like orange/grapefruit in your fragrances and it lasts a lot longer. However, if you like the sophisticated vanilla and a lot of musk along with 'hints' of orange blossom, then this is for you. 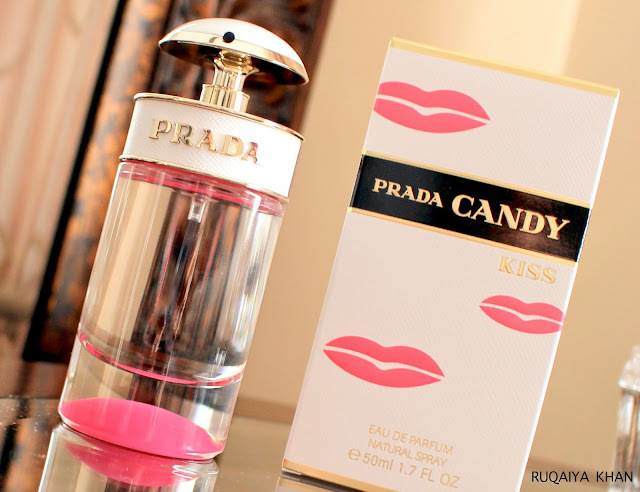 I really enjoy it because its fresh; its sophisticated and it lifts up my mood. I think I will enjoy it a lot more in Spring and on sunny days. At only C$98 for this 50ml bottle, its not too expensive to add to my collection even when there is a need to reapply every 4-5 hours. 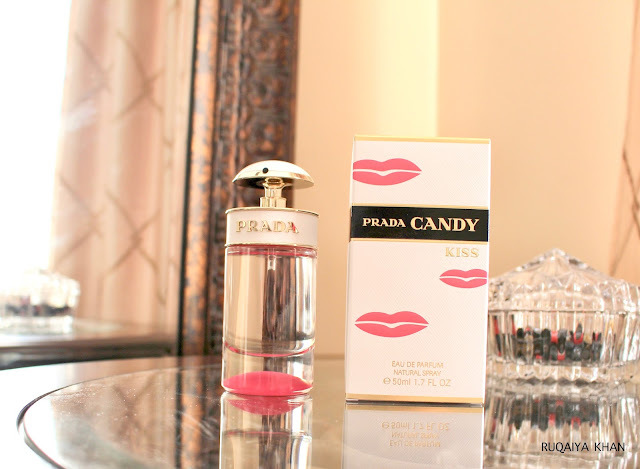 Prada Candy Kiss is definitely an unexpected favorite which I never thought I would enjoy and get addicted to.